Helping educators apply universal design to all aspects of education. Applying universal design within the precollege setting ensures that all students and teachers, including those with disabilities, can fully participate in all educational offerings. Learn how to create instructional materials, including curriculum and assessment, that is accessible to all students. See tips on how to build and sustain relationships with students. Discover the tools to make information technology accessible to all elementary and secondary students. Explore guidelines, implementation strategies, and examples of UDL. Search for questions and answers, case studies, and promising practices about universal design. 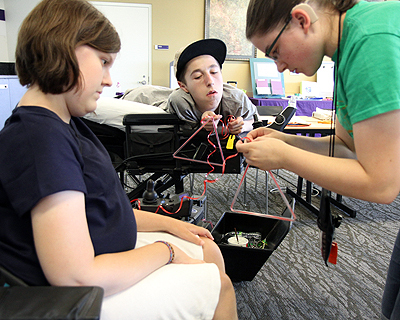 The Center for Universal Design in Education is directed by DO-IT at the University of Washington and funded by the U.S. Department of Education (grant #P333A050064) and the National Science Foundation (award #HRD-0227995 and HRD-0833504).